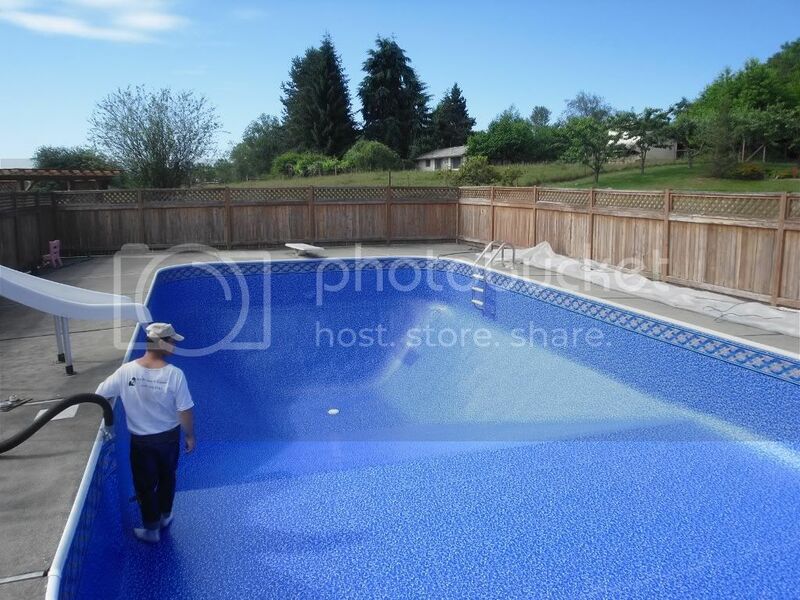 This is the CLEAN part of the job, all of the nasty part was done long before I took these pix, so this is just a bit of the final prep work and liner install. Stained the fence while we were at it too! I love it... your daughter all ready with her towel...'bring on the water! Nice selection it's very pretty. Chik - great pictures and well-documented! 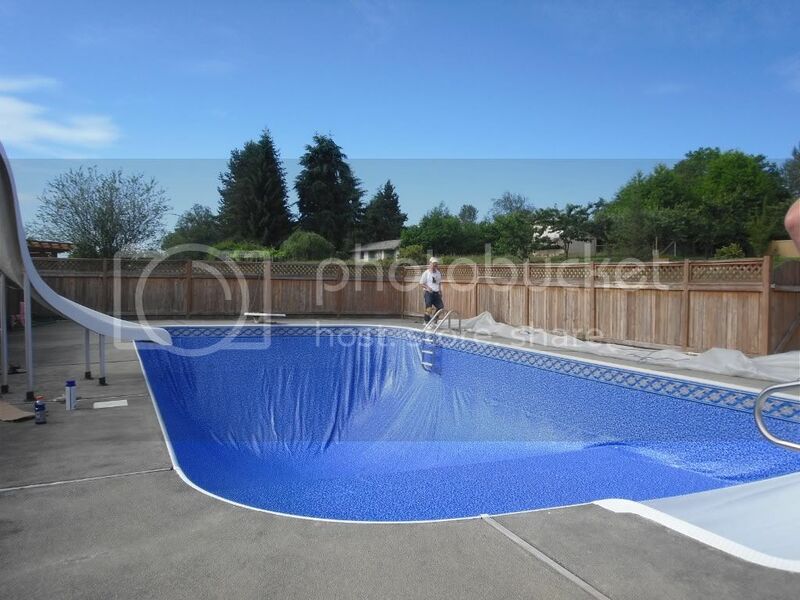 Our pool is very similar in size and shape and we just had a new liner installed also. But, I can tell your crew did a much better job than ours - and looks like from the picture sequence, they have more experience and are better equipped. 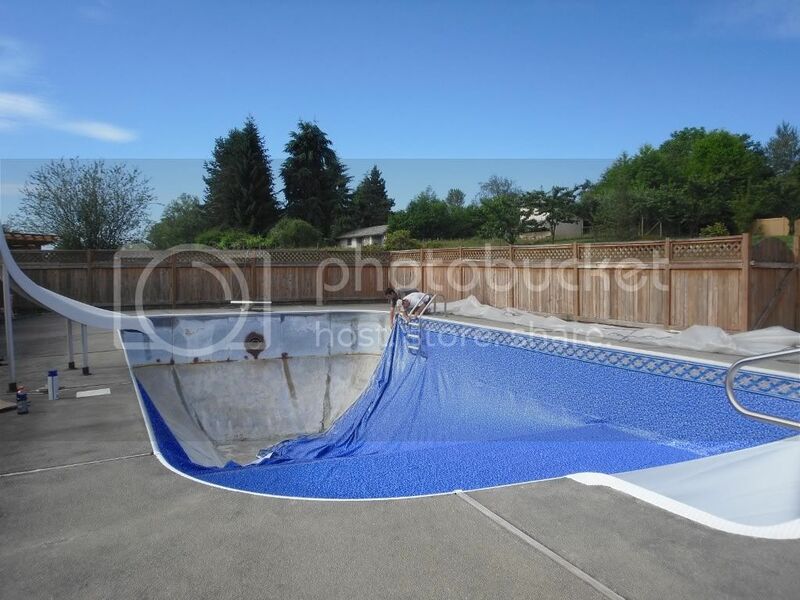 Do you have any pictures of what the bottom looked like after stripping off the old liner? 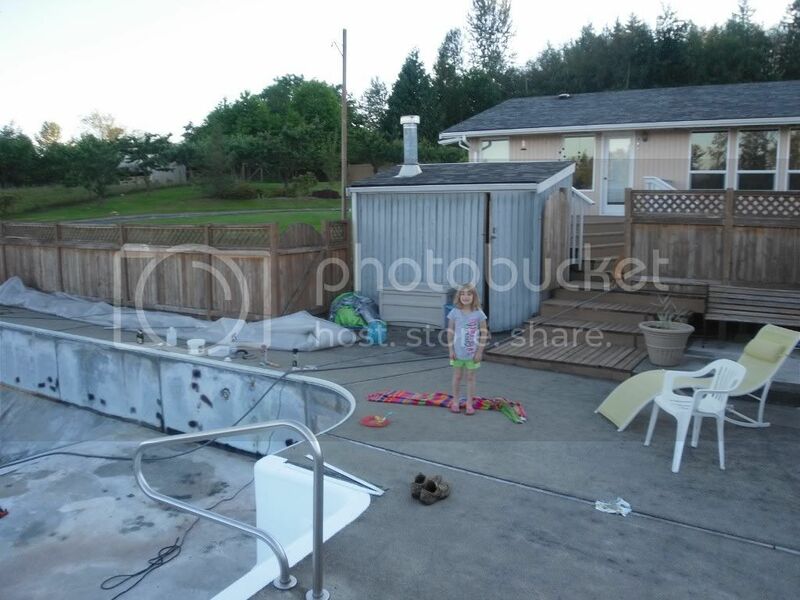 We were told by our installer that ours was in pretty good shape and they would patch within the original quote. 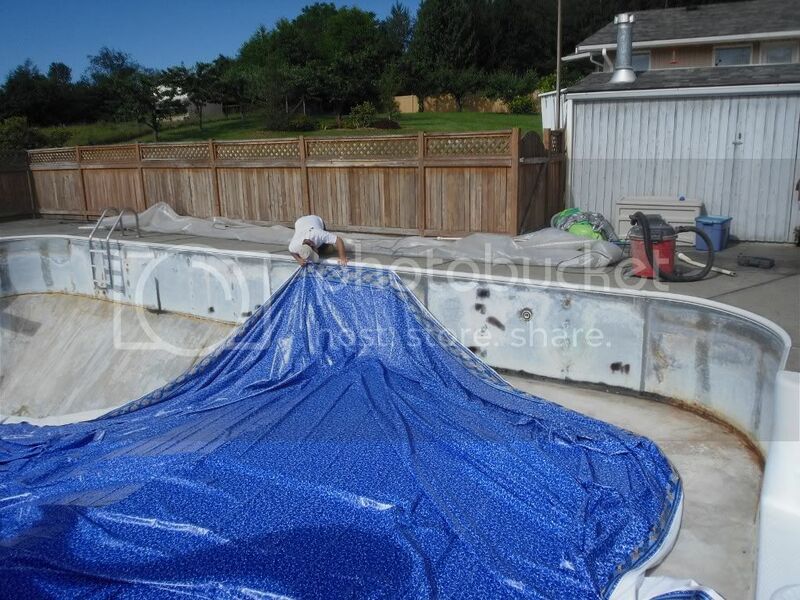 Then, they did a poor job on bottom prep to stay ahead of coming rain storms - did not let the pool-krete/vermiculite dry or set up before placing the liner - ended up with chunks of hardened pool-krete behind the liner along the vertical steel walls - have 1-inch diameter lumps sticking out into the liner - will be holes in the liner in the not-too-distant future. I am afraid I will have a fight on my hands with the installer. 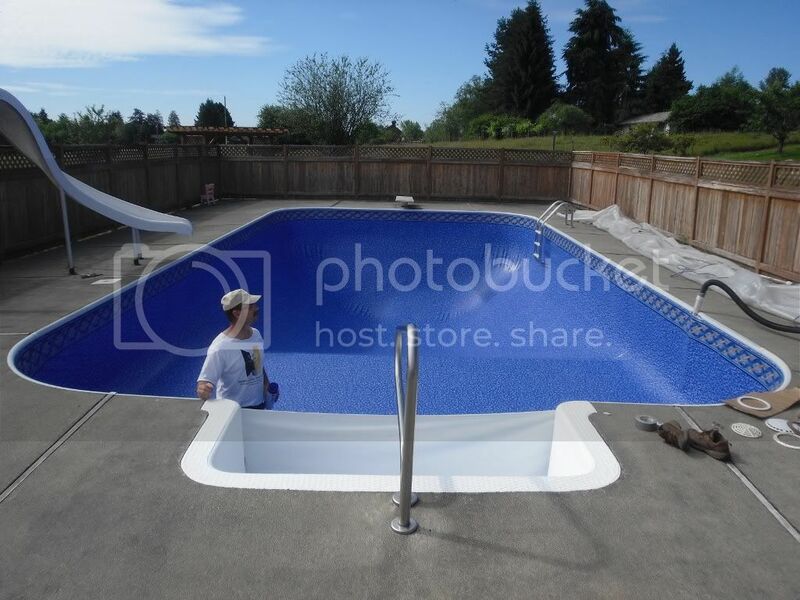 Would it be too rude to ask what the cost was for the liner plus prep, plus install? I'm assuming you hired an installer - or was it a DIY project? Great pictures - I love to see the progress. 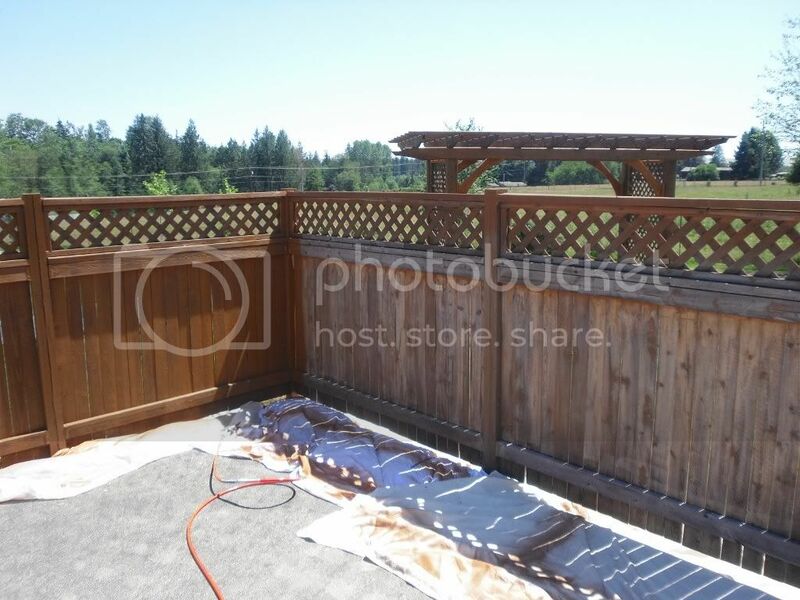 Your new stain on the fence looks terrific with the blue liner. 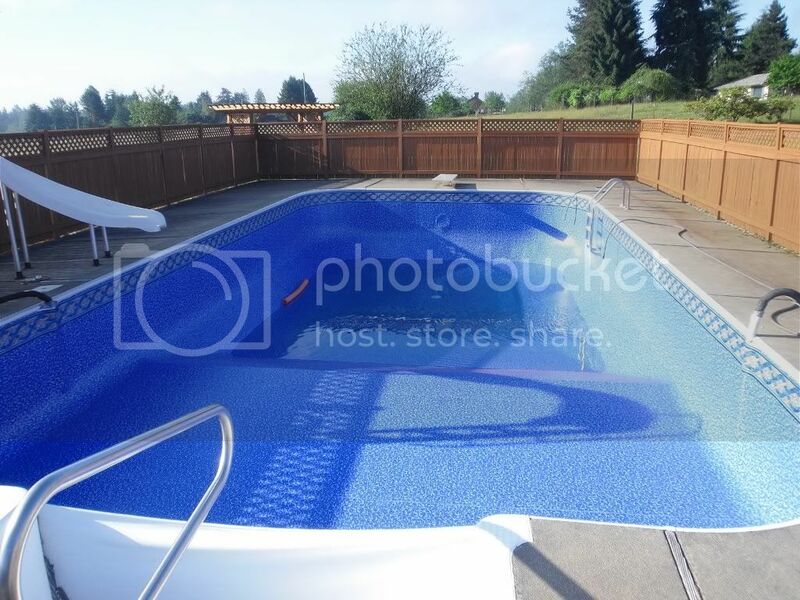 My pool is also very similar and when it was built I wasn't able to be home to take pictures during the liner install, so by seeing yours I can imagine what mine looked like. 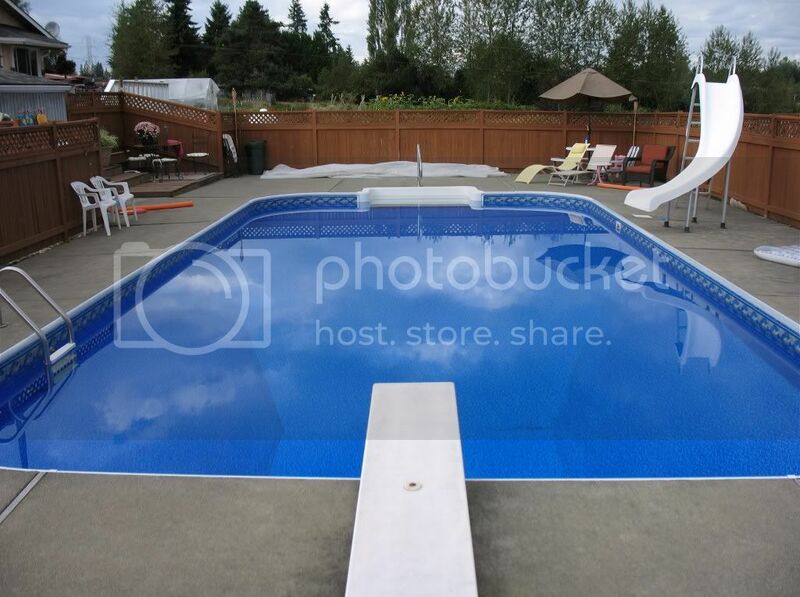 Thanks for posting pictures and don't forget the finished job! I patched a few rough areas in the shallow end with simple concrete patch. I vacuumed the heck out of it after I was done, but still ended up with a few sharp pcs here and there. The installer said not to worry since you can't feel them with your feet, but I can feel them when feeling around with fingers. 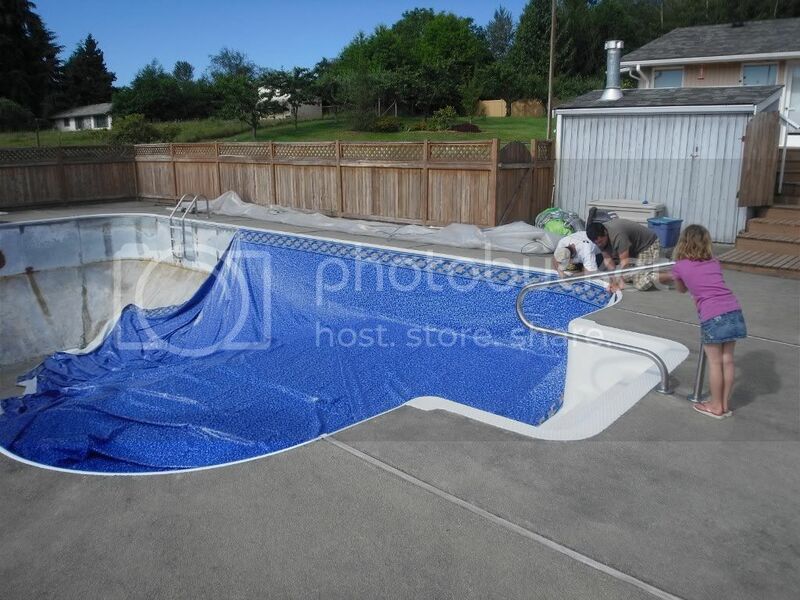 We did all the prep work, bought the liner and hired the installer. 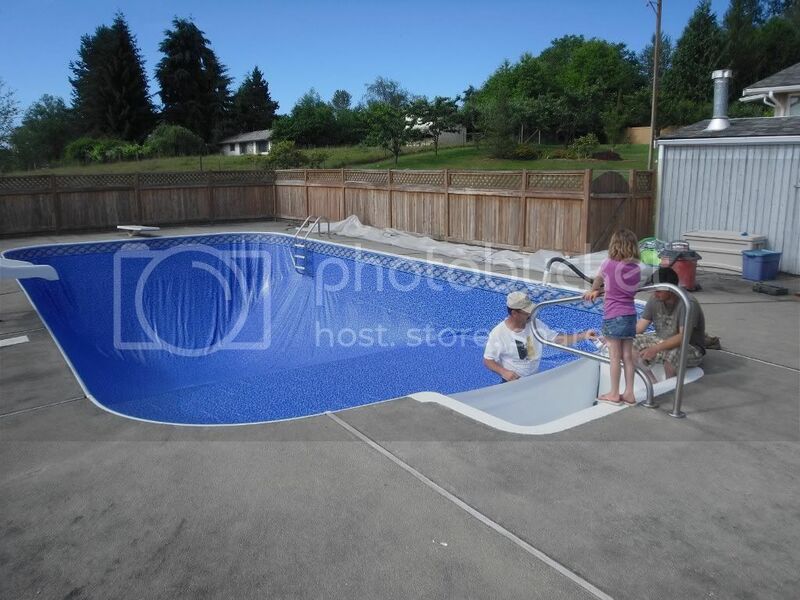 The liner was $1100 and the installer charged us $1000 which included new main drain cover, return rings and skimmer plate (oh and another $50 for a light ring in better shape than ours was). 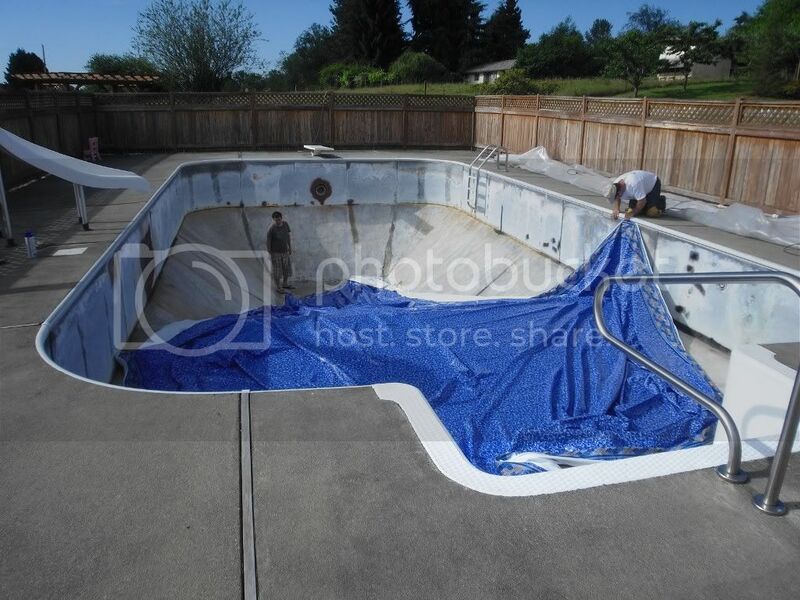 The prep work involved removing the old vinyl liner (gross), cleaning up all the algae that accumulated over several months (gross), knocking off the rough spots on the side walls and priming those areas and some light concrete patch work. We are in a pretty wet area, so I had to keep a sump pump in the hopper for months, draining the water every few days. 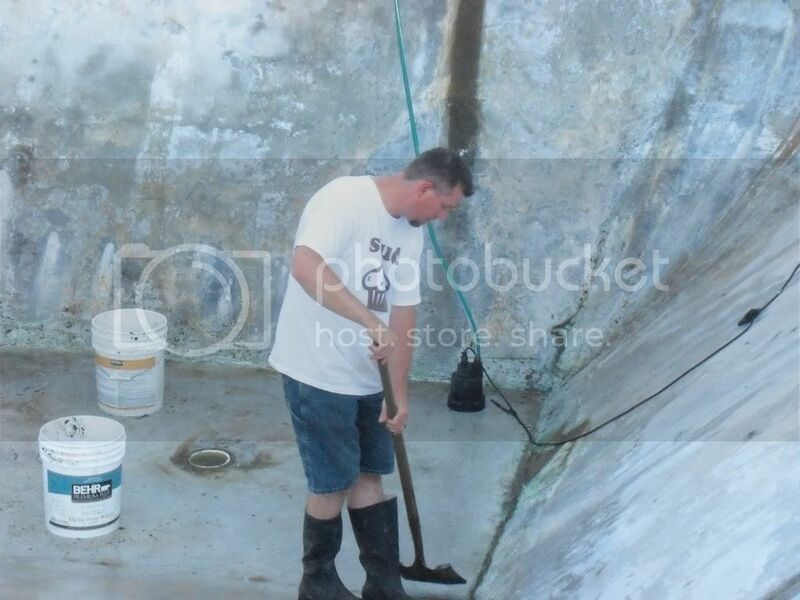 At wettest, we'd accumulate 4-5 of water over just a few days (just leaks thru the concrete)! Thanks for the info Chickn - I think you got a good deal (or, more likely, we got taken to the cleaners). 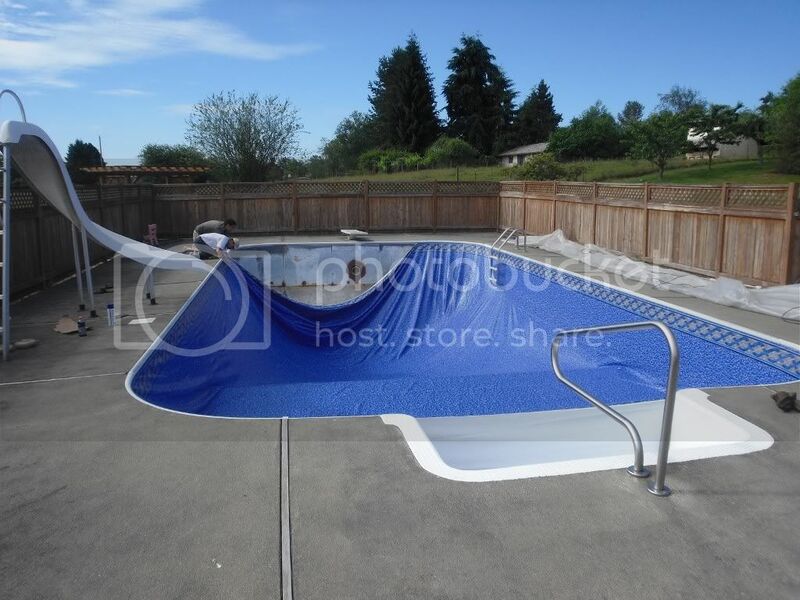 Ours was $4K - $2K for the liner (bought through the installer - probably high markup) and $2K for bottom prep (about 4 hrs of shoddy work) and install. 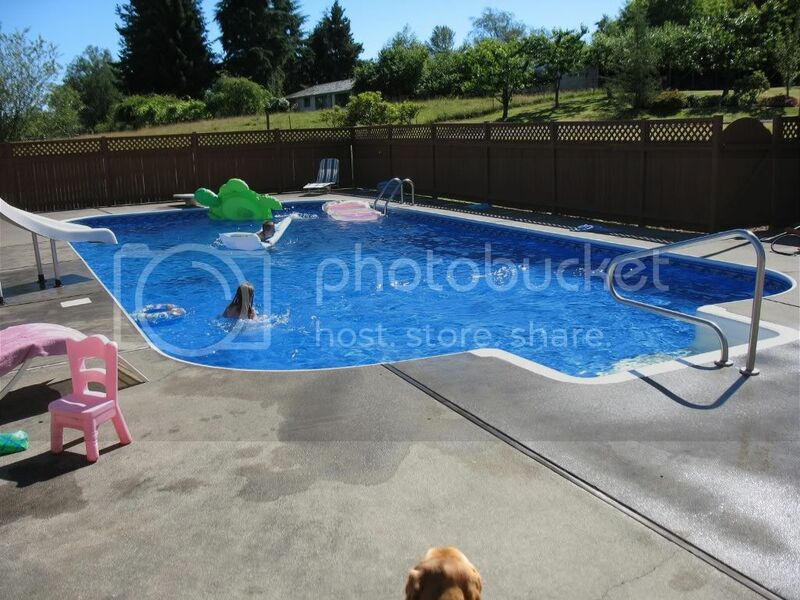 Your pool is larger than ours and it appears you may have the exact same liner (Tara, malibu pattern?). I wish we had done the prep ourselves and negotiated the install price. We actually pulled the liner off ahead of time so the installer could see the bottom condition and prepare for it - like "leading a horse to water....." . 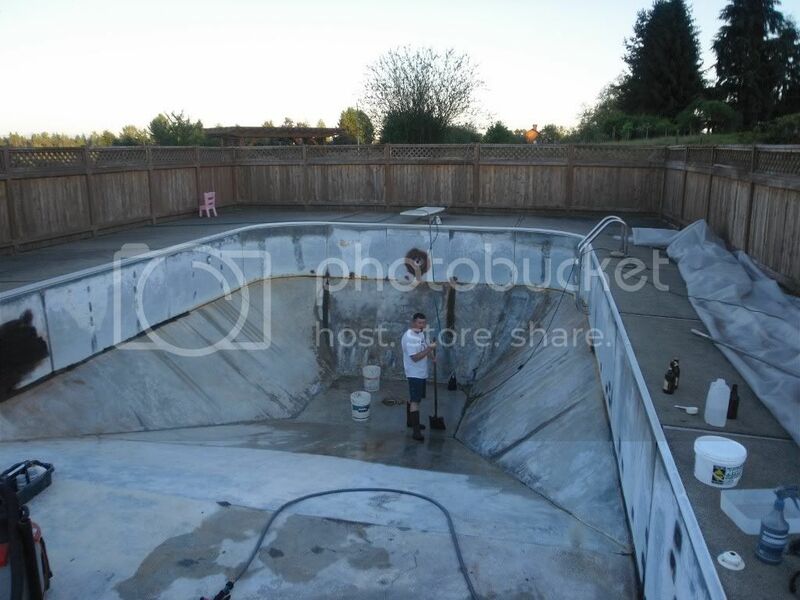 Just an update...here's the pool after having used it for a couple of [short] months. Beautiful! 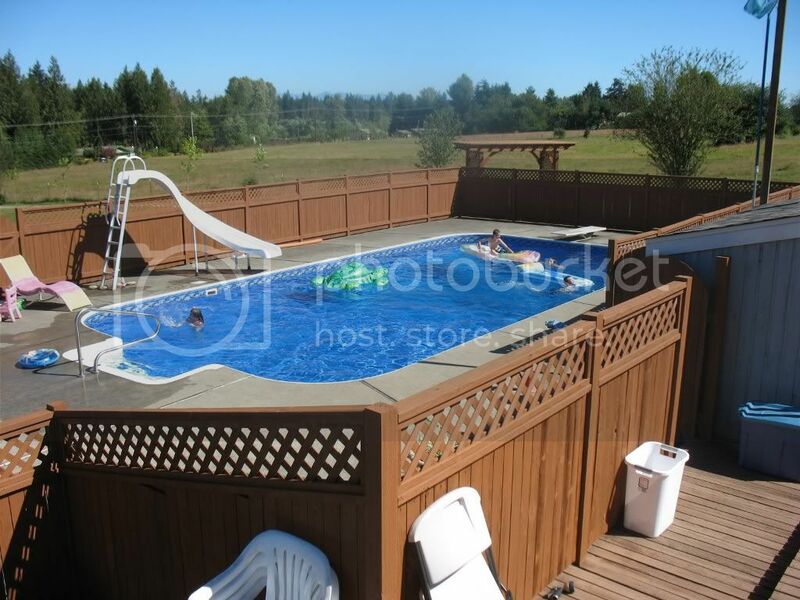 Makes me long for summer to return so we can get in ours too. Great job. No felt behind the liner? In Europe we always use a felt layer behind the liner to give extra protection.